Distributing seeds, fertilizer and pesticides to poor farmers is OUT. Agroecology is IN. Agroecology enables us to grow food in ways that cut emissions, create more resilient landscapes, and ensure ample yields – all while reducing the use of non-renewable resources. Gina Castillo is the Agriculture Program Manager at Oxfam America. I’m always astounded by the expertise that smallholder farmers demonstrate. The diversity of what they are able to produce using little to no inputs is downright elegant. I visited the farm of Jacinta Navarro in Chalatenango, El Salvador last year. She is a member of a woman’s savings group that Oxfam has been supporting there. 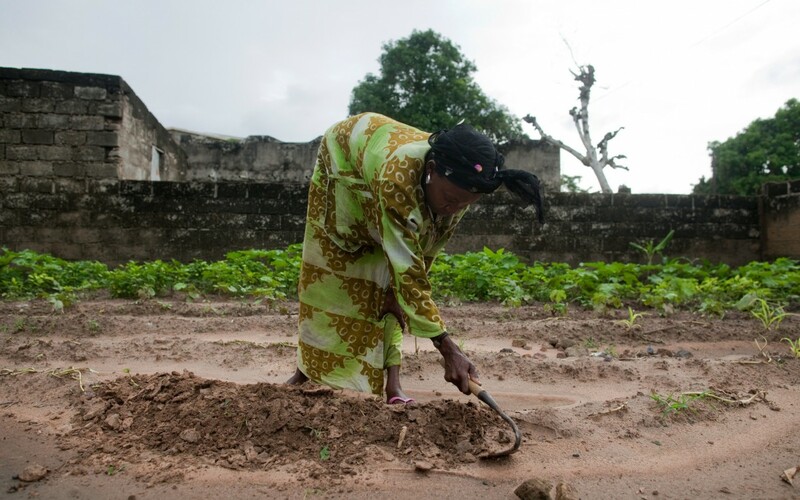 The women had requested training from Oxfam so they could start kitchen gardens and could improve their families’ nutrition. They learned to make organic compost and to control pests using natural biological methods. In her kitchen garden, Jacinta was growing different types of beans, tomatoes, cilantro, and an assortment of chilies. Most of the produce went straight to her pot. Some she bartered or sold to neighbors. When we met, she recounted proudly to me how much better her family was now eating. I’ve also visited farmers in Brazil and Ethiopia who use similar techniques to grow a range of crops in their plots, which tend to range in size from half a hectare to a hectare. Like Jacinta, they felt immensely proud of mastering new techniques, providing more and better food for their families – all by reducing or eliminating synthetic inputs, which also meant saving money. These farmers all practice agroecology. Agroecology is the science of applying ecological concepts and principles to the design and management of sustainable agroecosystems. Its most important underlying principles are diversification of both crops and animals, crop rotation, and organic matter cycles. In order to increase production while maintaining the natural resource base, farmers practice: agroforestry, water harvesting in dry-land areas, livestock integration into farming systems, reduced tillage, green manuring, systems of rice intensification, and a whole variety of other techniques. Using a combination of these techniques and linking these to market outlets can put more money in farmers’ pockets. Today Oxfam released a new paper, Building a New Agricultural Future: Supporting Agroecology for People and the Planet, which seeks to contribute to the on-going debate about sustainable agriculture. The paper shows how an agroecological approach provides a range of social, economic, and environmental benefits that—with the right policy support and associated investments—can be scaled up to enable smallholder farming communities to achieve food security and additional benefits. More importantly, the paper shows what needs to be done to scale-up agroecological farming practices around the world. This short paper builds on a larger literature review undertaken by Oxfam on the benefits of agroecology. So if agroeology makes so much sense, why hasn’t it taken hold more firmly as the pathway forward for agricultural development? Firstly, skeptics are stuck in thinking that a lot of these agroecological practices cannot be scaled up. They are wrong. The Regreening Initiative in the Sahel is an example of what can achieved when farmers and development partners tap into farmers’ potential. By pruning shoots that periodically and naturally sprout from the ground, farmers promote forest growth and take advantage of a naturally occurring source of fuel, food, or animal fodder. Another example is the System of Rice Intensification (SRI), which Oxfam and a range of development partners and research centers have been supporting to enable farmers to produce more with fewer chemical inputs and less water. The alternate wetting and drying in irrigated rice production that SRI promotes also helps to reduce greenhouse gas emissions. Secondly, agroecological practices have not taken hold at a grand scale because there is nothing to sell. With agroecology, there are no pre-formulated packages to peddle to farmers. Most of the discussions on raising productivity particularly in Africa are all premised on how to get fertilizers to farmers to replace the nutrients being lost every day, and how to give them access to the seeds and pesticides. Seldom are there robust discussions on the effects of the fertilizers and pesticides on people’s health and ecological functions. Agroecology is an alternative to industrial agriculture’s product-driven business plan that pushes the latest brands of seeds and pesticides. This may be perceived as “modern” farming, but agroecology is a knowledge-intensive practice, based on science and farmer experimentation and reclaiming lost—and more sustainable—farming practices. Those of us who believe that agroecology is the way to go have constant obstacles to face. But increasingly I am sensing that consumers in developing countries want to support small-scale farmers and agroecological production primarily out of health concerns. Whatever the reason may be, smallholder farmers could be selling their produce if they are supported by good extension, information, and marketing services. This cannot be left to governments and businesses alone. Agroecology can help reimagine rural landscapes and our agricultural future. Farming can no longer be focused solely on food production, but also on how it can promote diverse and healthy ecologies in which people want to live and invest. I do agree more with you about throwing fertilizers away and its a really struggle out there! what with private sector companies making billions of dollars, married to seed houses that believe that a faster production system based on GMOs is the way to go, and then complex financial systems and commerce all depending on this industry. It is a real big struggle, and we see smallholder slowly and at times quickly integrated into these markets. They dee the $ and of course it does help the family for health, meeting their living needs. Hardly are thoughts placed on the longterm impact of the use of the technologies on the environment and on human health. While, ordinarily one would call for precautionary principle, in this case one see the damages caused on people – ranging of increase in obesity, high level of cancers, especially among mothers, and other complex diseases that are food related. We are not yet convinced by scientists that this food is not damaging. This is the reason, why at Ruzivo as we work work in a country (Zimbabwe) that probably was the first to produce hybrid seed, we are worried. Not that we produce GMOs related food, but that we have become a nation of food importers of GMO processed foods, yet our government is consistently anti-GMO. The policy has not really worked and we need to be more pragmatic. Meaning that we need to go back to the basics and work with our farmers to throw away the fertilisers. Lots of investments is required in mindset change, training and asserting a believe among all that agro-ecologically produced food makes sense, is good for health, has income benefits and is appropriate for the environment of today and in the future. Thanks for a well done piece. Thank you for your comments. You raise critical issues on the relationship between agriculture and health and how the policies of most governments tend to be contradictory. Changing the mindsets of decisionmakers is critical. We also need to revise educational curriculums and national research centres need to work with farmers and invest more in agroecological practices. When I was 14, in 1969, I spent my summer visiting my Uncle and Aunt in Kenton, Manitoba, Canada. My uncle got up at 6:00AM everyday, I slept in till 7:00AM. My Aunt and I cared for her garden three times a day. (I mostly just watched) Aunt Dean pulled the weeds by hand, three times a day. Aunt Dean watered the whole garden with a watering can, one third, three times a day. The garden had every kind of vegetable possible to grow at this latitude. My Uncle and Aunt lived off this for the whole year by perserving 99% in glass jars and storing under the kitchen floor. The weather weighs heavy on a farmer and his wife. My Uncle worried a great deal. He told me about God and God became very real to me. Uncle Willie lived to 95 years, same with Aunt Dean. Because of natural goodness of only adding water and subtracting weeds. Thanks, Phil for sharing your story. It’s wonderful when all your food needs can be met from the garden! This is not generally the case for very poor farmers in developing countries with the current system. We have seen from evidence on the ground that with low input practices farmers can save seeds, reduce or eliminate fertilizer, etc, Sometimes there is a labour surplus, sometimes there is a lack of labour as family members are looking to other sources of income beyond the farm (because the farm is not enough to meet the household’s needs). It’s dynamic and complex! But we definitely believe that agroecological practices are the basis for ensuring that families have more food and more opportunities. We are Darsfield EarthCare & Farm-Tech Foundation (Darsfoundation) an agriculture in environment foundation operating in Ghana, we are seeking partnership and we want free seeds donation for rural empowerment. Darsfoundation’s mission is to provide technical, physical, advisory, managerial and financial means to help create a sustainable and healthy future for Ghanaian farmers, women and children living in rural communities; for the current and future generations to gain control over their resources. Darsfoundation likewise seeks to assist the rural communities to gain the ability to develop their own land’s potential and to open this potential to external markets. We are helping to eradicate poverty in rural Ghana and help develop organic fruits and vegetable farms and garden for rural families of Ghana. Please see attached and get back to us as soon as possible. I am a 69 year old woman with a terrific green thumb who grows organic food in large planters in my backyard. I am also poor (by American standards) but have come to learn how it all begins with the soil: Seaweed (that I brought back from the East coast); dead leaves from last year’s harvest of different veggies); used coffee grinds; tea from used tea bags; eggshells; diotemaceous earth – has over the years turned a bag of organic dirt from Walmart into a rich loamy soil. About two months after I planted my organic seeds right in the dirt, I added a few drops of citrus essential oils very diluted to a container and shook vigorously and placed around the plants on top of soil. I have not had one aphid, slug or beetle eating the plants. I would be happy to donate some of my heirloom organic seeds from my purple and green Italian basil plant; romaine lettuce; red/burgundy amaranth which is a highly nutritious grain that tastes a lot like slightly tough spinach after being boiled in water a few minutes; and purslane (good in stir fry). If interested, please include your address on the mailer with sufficient postage. It breaks my heart to see little children on TV with their ribs showing crying and dying of hunger. This is terribly sad and needs to be fixed. 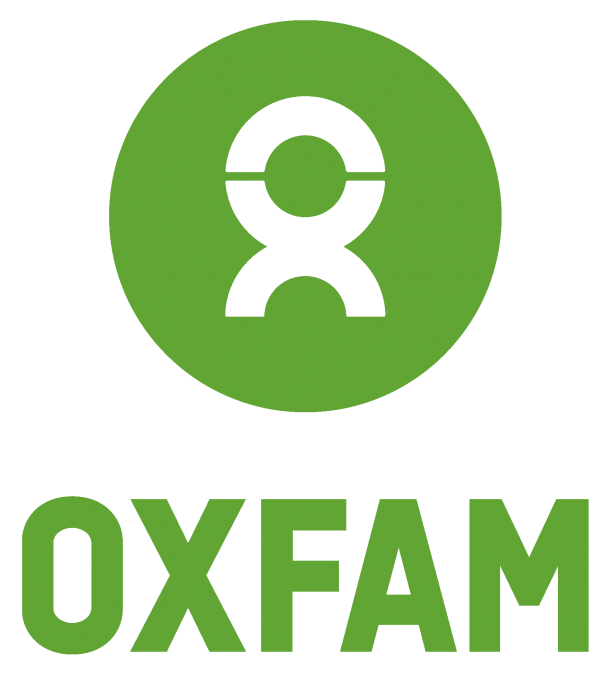 Thank you Oxfam for what you do. Supporting agroecology for people and the planet.